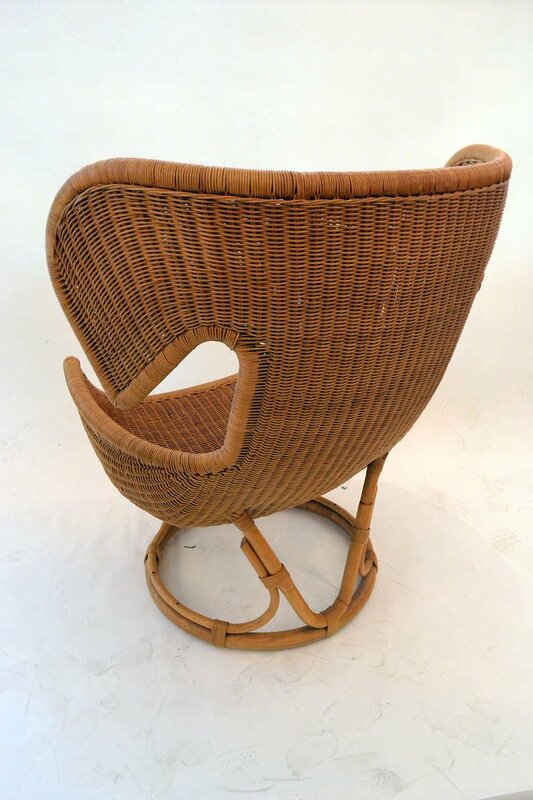 A wonderfully comfortable wicker lounge chair designed by Salvatore Fiume b. Sicily, 1915. Fiume was a painter, sculptor, architect, writer, and stage designer. 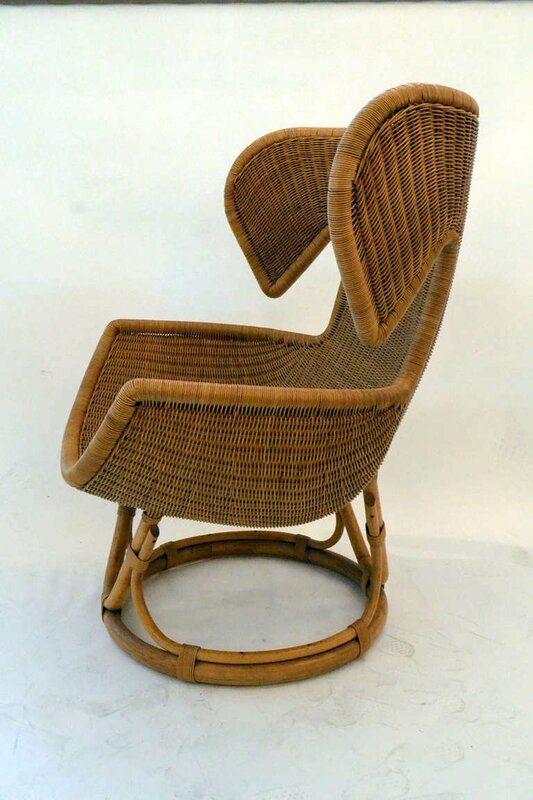 The chair is very similar in style and resembles an enlarged version of the Pelikan chair by Finn Juhl.